See the top recommended cd, dvd thread. We just did that one. - Best in Show for the Davis/Covent Garden first and foremost for the principals, sound engineering, and performance. - Honorable Mention for Davis/LSO for the "Royal Hunt and Storm" sequence which has the most powerful and heroic treatment of the horns that I've ever heard in anything by Berlioz aside from some of Davis' scenes from his Benvenutto Cellini. That recording is really awesome and I can second that in addition to the Davis set as well. "if a horse could sing in a monotone, the horse would sound like Carly Simon, only a horse wouldn't rhyme 'yacht', 'apricot', and 'gavotte'. Is that some kind of joke?" "there's a fine line between having an open mind and having your whole brain fall out"
anmhe - trust Marschallin (and me and Greg Mitchell when he posts here) - there is only one real choice - Davis or Davis. Those of us who recommend Davis do so after years of listening to his versions (and the other versions). 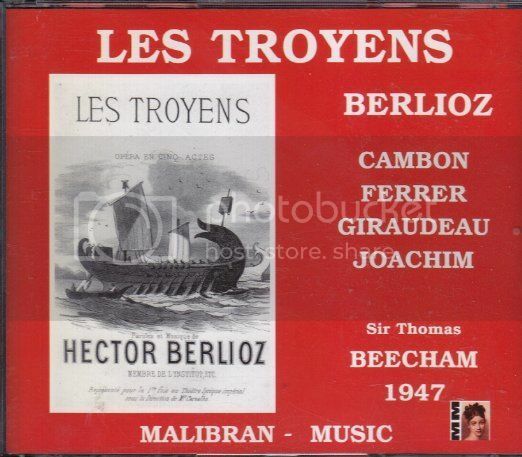 I have all these versions and listen to them ofetn and the Davis set stands out head and shoulders above the very fine Beecham set for sound quality, orchestral performance but above all, for Davis' musicality (and I'm a great admirer of Tommy Beecham). I had suspected that sound quality and orchestral performance- things I am more or less deaf to- were most of the reason why the Davis sets were the usual top recommendation. Personally, I found that nine minutes of the love duet sung by Vickers and Veasey felt longer than 3 hours and 40 minutes of the 'complete' opera as performed by Beecham and his French cast, and listening to it, I felt that I understood Itullian's accusation of extreme dullness (I don't know whether he has heard the Beecham or not). In any case, the fact that my preferred version is available free on Youtube means that for practical purposes it isn't really in 'competition' with the Davis recordings, at least as far as anmhe's budget is concerned. Second everything Marschallin Blair and Headphone Hermit. Have to say. If I go for the Philips recording over the LSO Live one, it's for the marginally preferable singing, and particularly for Vickers. I also prefer Veasey to De Young, though I like Lang better than Lindholm. Either way, Davis in Berlioz is unbeatable. 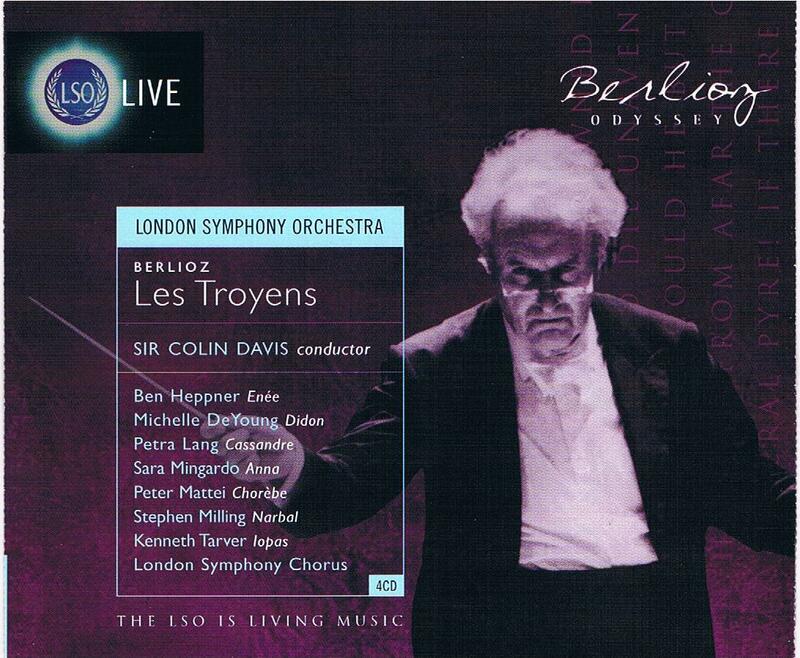 Davis spent a lifetime with Berlioz, and it shows. 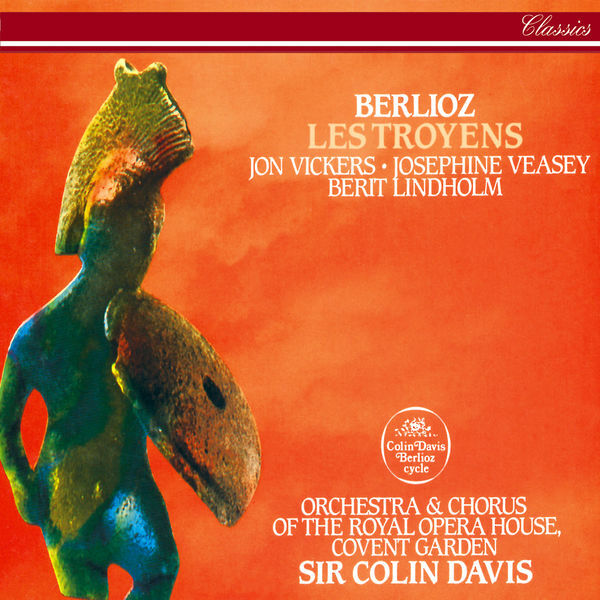 Where other conductors used sometimes to iron out the idiosyncrasies in Berlioz's writing, Davis revels in the music's strangeness, which, paradoxically, reveals both its classical roots and its original modernity. Thanks for all the suggestions. Your opinions have been very valuable to me! anmhe - trust Marschallin (and me and Greg Mitchell[ when he posts here) - there is only one real choice - Davis or Davis. I must admit, they do all know the opera much, much better than I do.